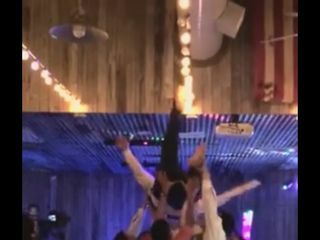 Runaway Island Beach Bar & Grill is a two-story full-service restaurant and wedding space in the heart of Panama City Beach, Florida. 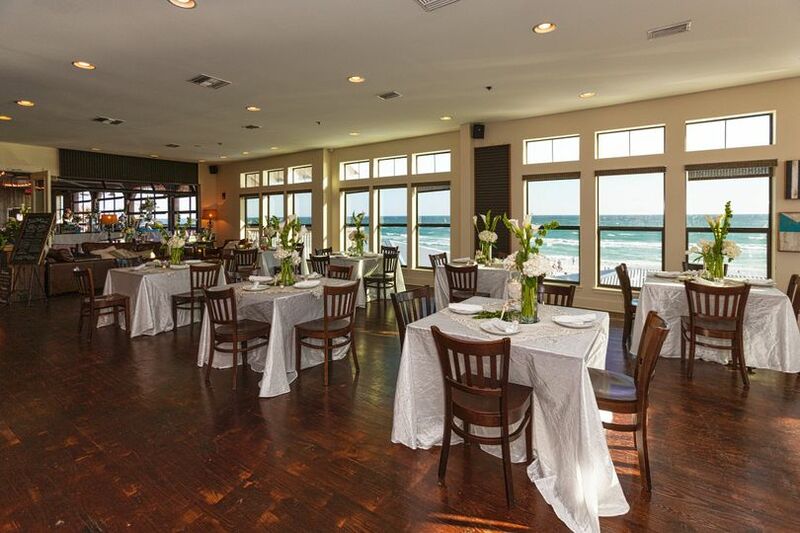 This popular restaurant, inspired by colorful local tales of adventures on the Gulf of Mexico, boasts breathtaking views, a wide selection of surf and turf specialties, live entertainment, and friendly service. 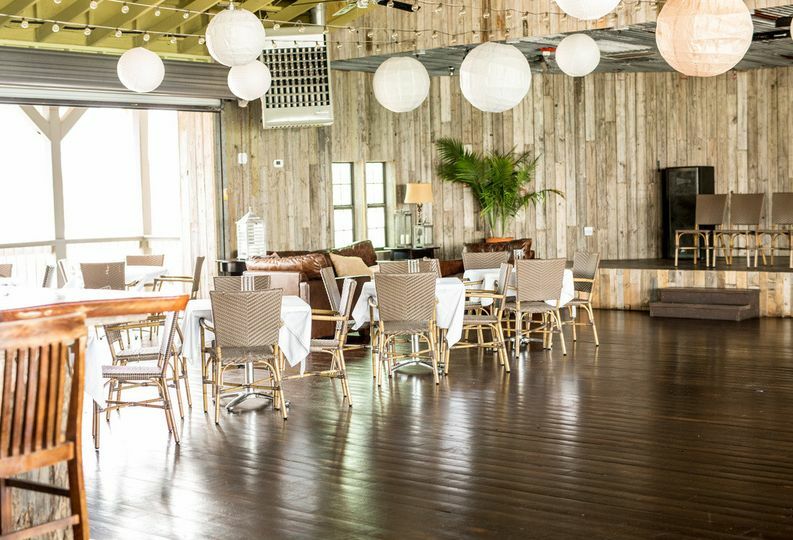 This beachfront venue offers a fun, yet sophisticated atmosphere, and semi-private and private dining rooms that accommodate up to 500 guests. 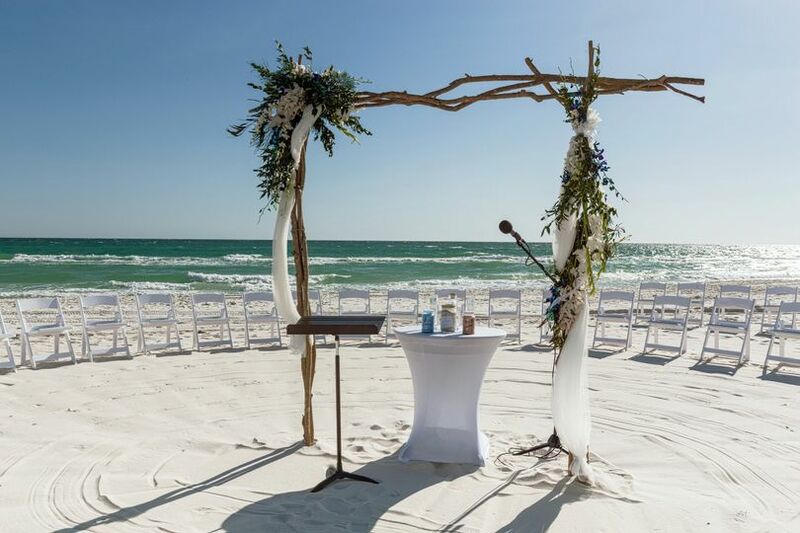 For a one-of-a-kind wedding ceremony by the sea, the beachfront is available. 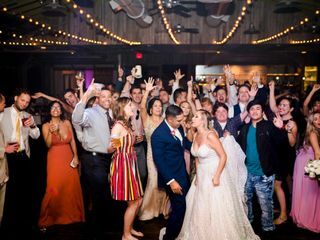 With large windows, hardwood floors, a private bar, stage, and open air area that fits up to 160 seated guests, the Ballyhoo Room is optimal for roomy wedding receptions and cocktail hour. The Flag Room accommodates up to 65 people seated, and features a stylish lounge area with plush leather couches for a more relaxed ambiance. 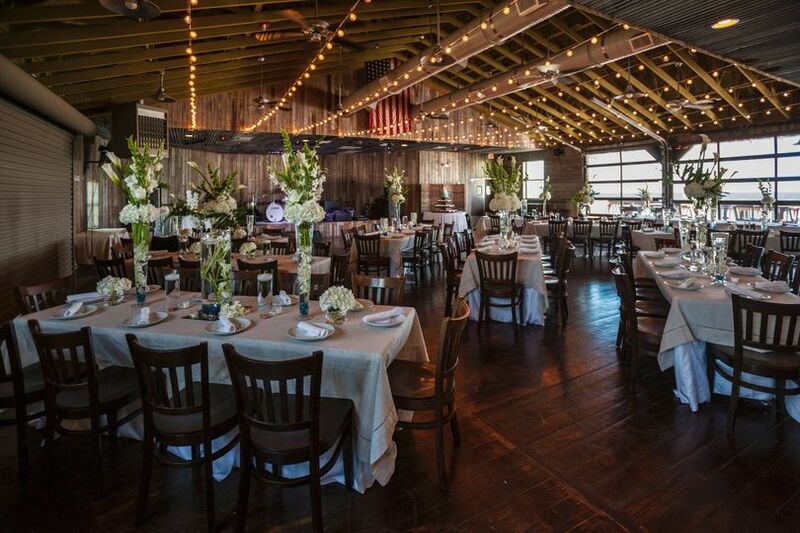 The Ballyhoo and Flag Rooms combined fit up to 235 guests. Perfect for smaller gatherings, The Captain Room fits two rectangular community-style tables with both banquette and regular seating for up to 20. Their gorgeous boardwalk extends all the way to the shore, so you can sit back, enjoy a beverage, and a quintessential Florida sunset. 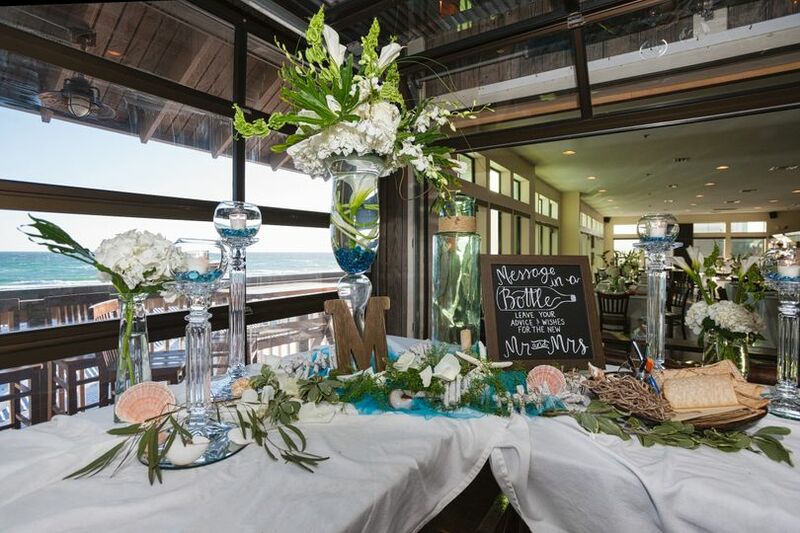 Chef Chris Hein specializes in coastal cuisine and fresh seafood, and couples can build a custom menu with bar and beverage packages. 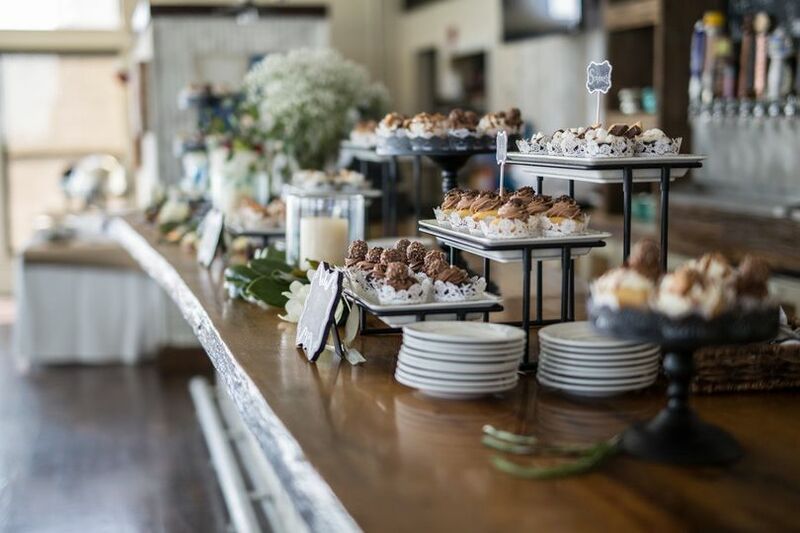 Choose from plated stations, hors d’oeuvres, buffets, dessert bar, and a wide selection of alternatives featuring the freshest locally sourced ingredients. 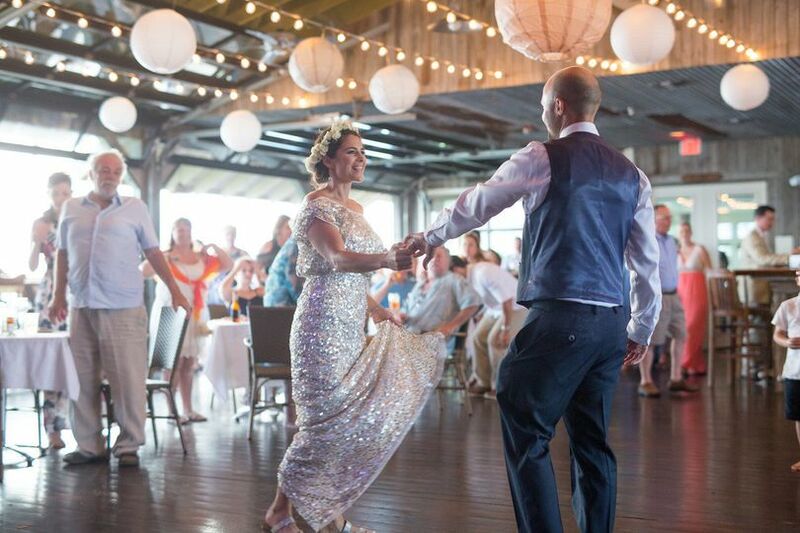 In addition to weddings, Runaway Island Beach Bar & Grill is happy to host a wide range of events. 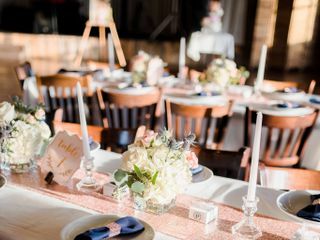 They are perfect for bridal showers, rehearsal dinners, and engagement parties. This venue is also available for corporate meetings such as holiday parties, class reunions, presentations, galas, and fundraisers. I can't tell you enough how happy we were with our Runaway Island experience- a unique one, I'm sure. 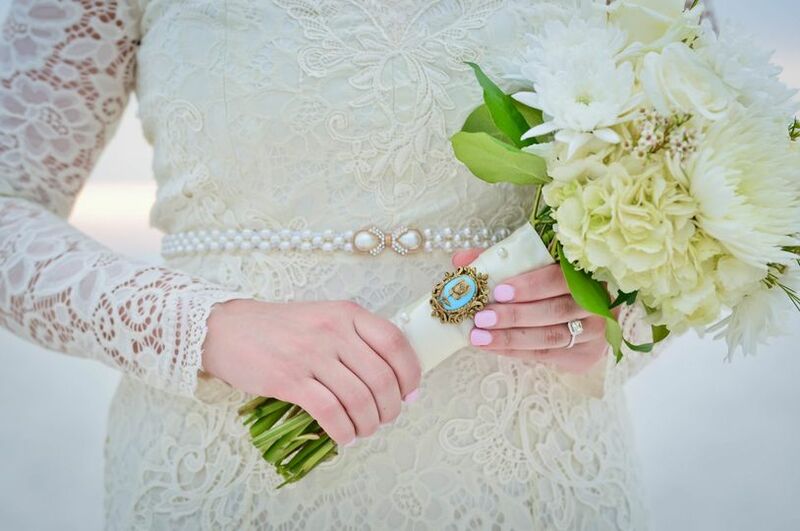 I am a local to PCB, and my now-husband and I had our dream destination mountain wedding scheduled for the weekend in North Carolina. 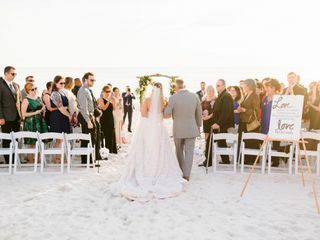 With the path of Hurricane Florence, however, we were forced to cancel our wedding and re-plan an entirely new wedding in PCB in just 4 days. I was recommended to call Runaway Island by a friend who does their marketing and got connected with Susan in their events department. In just a matter of hours, Susan had planned my entire wedding rehearsal after working-hours. 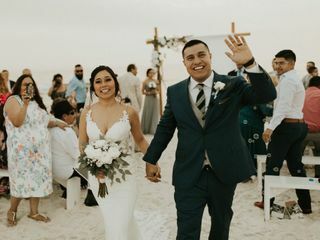 They were able to work within my budget with a customized menu and, best of all, all we had to do was just show up. 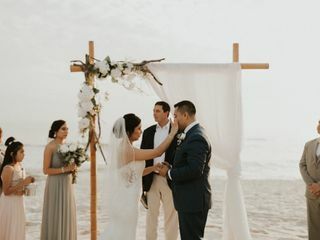 Everything was already beautifully-decorated, so there was nothing to do on our end- a huge relief for a stressed-out bride who was planning a new wedding in less than a week. When we arrived, we were in a spacious room upstairs and were helped every step of the way by their restaurant manager Devin, and by our server Tiffany. None of my guests were without drinks and they lacked nothing the entire time we were there. Not to mention, the food was delicious. 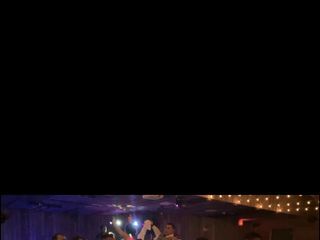 I am so impressed and relieved to have had Runaway Island step in to help me with this special time for me and my husband, and I HIGHLY recommend them for any party, big or small. We hold our annual Holiday Party at RI every year, and our staff loves it! From the food, to the décor, great service and overall atmosphere. Runaway Island will be our Holiday Party home for many years to come! Sarah, Runaway Island loves having you and your company! Its so nice to host an event with fun, happy people. We can't wait for next time! 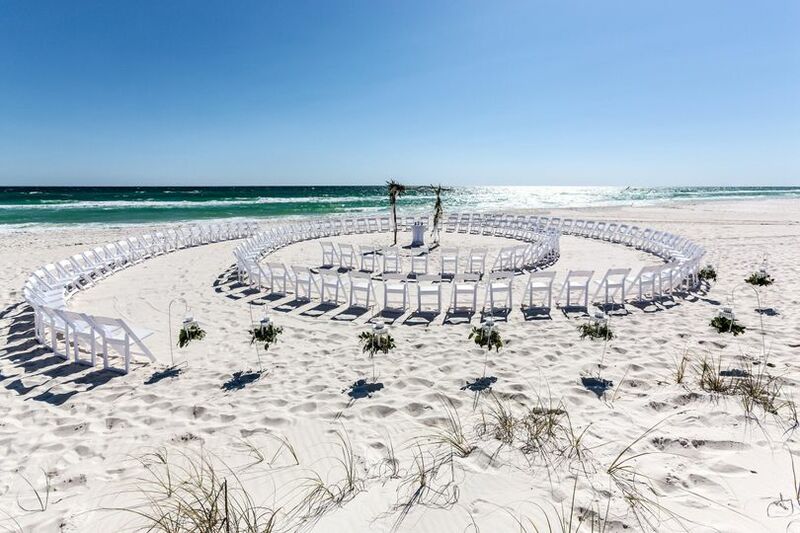 Great location for a beach front celebration. Private rooms available for different party sizes.